Successfully Added SATA + IDE HDD Multimedia Player - Vista Compatible to your Shopping Cart. 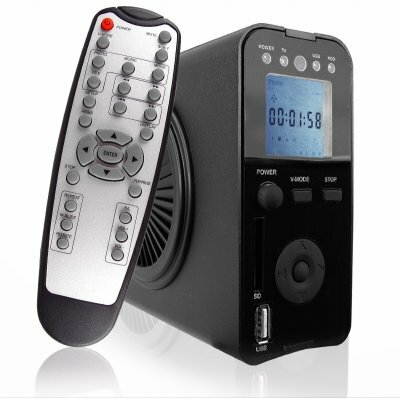 Hard Disk multimedia player with such excellent features as a two in one enclosure that will accept either SATA hard disks and plug and play compatibility with Microsoft Vista operating system. Anyone interesting is getting their media files off the computer and playing them with the incredible quality other screens and sounds systems can provide will definitely be interested in this HHD Player. This system will easily play all the most popular video and music file formats with subtitle support, has AV, VGA, S-Video, and PrPbY OUT connections, and a massive possible 500 GBs of storage memory that can be partitioned up to 4 times with no max GB. A super high end HDD multimedia player available at Chinavasion Wholesale discounted price.